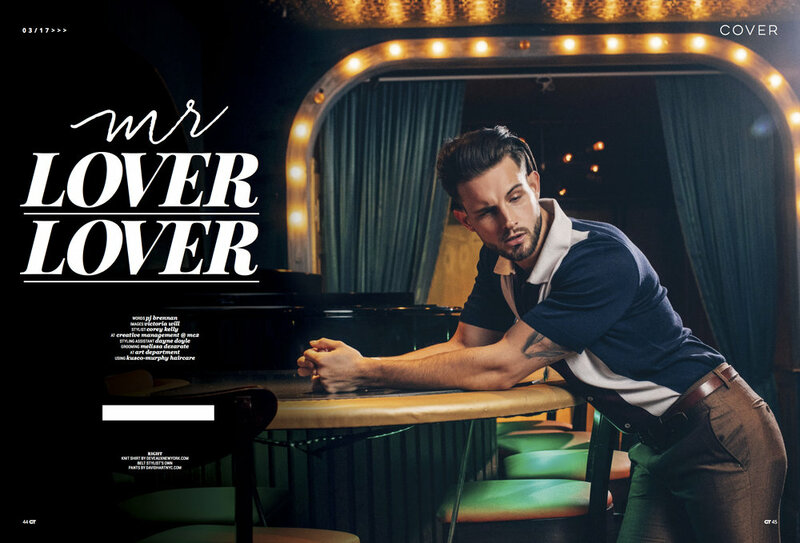 The handsome and very talented Nico Tortorella, a mastermind behind the popular podcast Love Bomb as well a star on TV Land's hit television series Younger, graces the cover of Gay Times' annual Spring Fashion Issue. As my latest styling subject for this assignment, Nico adorns the cover in a splendid Palmiers du Mal coat while gracing the remaining pages in a range of looks by Billy Reid, David Hart, Deveaux, Lucio Castro, and Matiere, to name a few. Thanks to the support of Gay Times editor-in-chief Darren Scott and his editorial team, this production rolled out with ease in addition to the vision of photographer Victoria Will, the grooming expertise of Art Partner L.A.'s Melissa Adelaide, and the assistance of my hard working styling assistant, Dayne Doyle.